There is a lot of information in this BMIOA Members section including Ostrich Articles on many subjects written by Daryl Holle, Research information performed by Blue Mountain Feeds and Ostrich Feed Bulletins which are full of useful Ostrich knowledge and information. BMIOA memberships have three options; an annual membership, a 7-Day membership or a 1 day membership. Any of them will give you full access to all of the exclusive BMIOA member information. The signup process is simple. First comes the payment process, then you will be sent an email with a link to register at the Blue Mountain website. 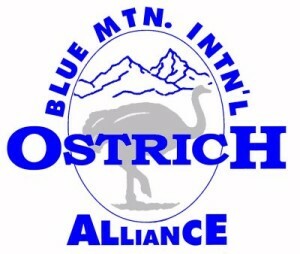 Once registered, then click on the BMIOA Member section and start reading our wonderful Ostrich information. If you would like to subscribe to our BMIOA Members organization, please select your subscription plan below and click the “buy now” button by that plan and make payment through PayPal. 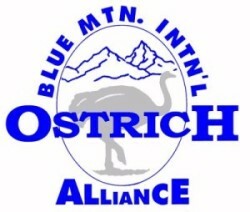 When you have completed the payment process to Blue Mountain Ostrich Feeds, you will be emailed a registration link that will take you back to the website for your registration signup information which will complete your subscription process. At PayPal, you can pay with your credit card or with funds from your PayPal account. Select one of the three membership options below and then click on the “Buy Now” button following the plan you desire.